The ANZFPS has successfully run biennial conferences since 2004. Over this time, a small profit has accrued from each conference such that the ANZFPS is able to re-invest some of these funds into promoting opportunities to grow fall prevention research and practice in Australia and New Zealand. The ANZFPS has allocated $5,000 in 2019 to support a travel fellowship for one of its members. We welcome applications for the travel fellowship for the purpose of supporting fall prevention research and practice capacity in Australia and / or New Zealand, and build career opportunities in fall prevention of the successful applicant(s). The outcome of the travel fellowship will be presented back to the ANZFPS at the subsequent biennial conference, and through the Society’s online newsletter. Application Guidelines Applications are now open to members of the ANZFPS who are at the time of application enrolled in research higher degrees (Research Masters or PhD) or less than four years following completion of a research higher degree. Career interruptions will be considered pending the scope of this interruption. Applicants are encouraged to identify a host institution (which may be located in Australia, New Zealand, or overseas), organize their own research activities to be conducted at the host institution, and make their own travel and accommodation plans. Applications must be submitted on the template provided (2 page maximum) and also include: a CV (2 pages maximum); host letter of support; and contact details for a referee who is happy to be contacted about your application. Maximum budget for any one application is $5,000. Research, travel and accommodation costs can be included. Research infrastructure costs (eg. purchase of computers) cannot be included. Costs for provision of child-care services from registered child-care providers can be included. Condition of the award Successful applicants will be required to submit a report at the completion of the fellowship (including an abbreviated version to appear in the Society’s online newsletter) and present their work at the following ANZFPS conference. 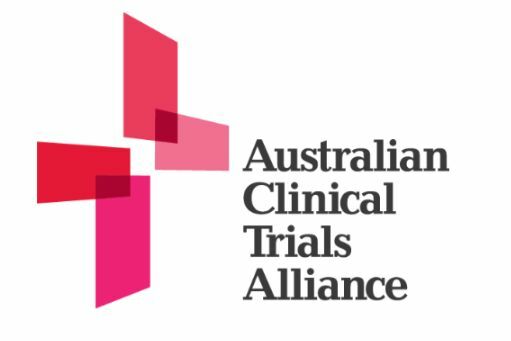 Closing date and notification Applications close 5:00 PM Australian Eastern Standard Time 1st July 2019. Successful applicants will be notified 6-8 weeks after the closing date. This entry was posted in News & Media on March 25, 2019 by Daina Sturnieks. Have an active role in helping to ensure that the public good trials and registries sector has a strong and effective ‘collective voice’ at the national level. Help to shape healthcare and research policy that directly impacts your research. A ‘seat at the table’ to ensure that your group is well represented and has the opportunity to influence and help drive ACTA’s advocacy for the sector. Ability to contribute to ACTA Roundtables/Working Groups/Standing Committees to ensure that issues impacting your field of research are communicated effectively to governments and key stakeholders. Active promotion of the activities and achievements of your research group through ACTA publications, member profiles on the ACTA website and news listings on major publications and trial results. Get connected: receive policy alerts & enewsletters, provide comments to inform ACTA submissions and rapid responses, and receive invitations to member forums/events. Discounted registration to all ACTA conferences and events (for organisational members this is extended to all members of your organisation/group). This entry was posted in News, News & Media on February 18, 2019 by Daina Sturnieks. Listen to the ABC Radio National Health Report Interview with Prof Cathie Sherrington on ‘Balance exercises are good for preventing falls in the elderly, and Tai Chi seems to be effective too’. This entry was posted in Media, News & Media on February 12, 2019 by Daina Sturnieks. The Australian Injury Prevention Network (AIPN) are pleased to invite you to the premier injury prevention conference for Australia and the Asia Pacific, the 14th Australasian Injury Prevention and Safety Promotion Conference, to be held at the Brisbane Convention and Exhibition Centre, Brisbane, Australia, 25 – 27 November 2019. With a theme of Pushing the Boundaries, this conference will challenge the traditional injury prevention paradigms to examine future disruptions and opportunities for injury prevention. This will be explored through innovative technologies and changing digital societies, and new multisectoral strategies for partnerships across government portfolios, clinicians, practitioners, industry, researchers and community. This entry was posted in Conferences, News, News & Media on February 7, 2019 by Daina Sturnieks. The 3rd GrassRoots Falls Festival will be held 19-20 September 2019 on the Fremantle Esplanade, WA. Abstract submissions are now open. The festival, themed “People, Partners and Purpose 2020 & Beyond”, provides an opportunity for health professionals and other staff across all settings, managers, educators, policy makers, and others with an interest in reducing the risk of falling among older people to enjoy sharing the latest ideas and innovative approaches in practice, research and falls prevention at the GrassRoots level. The festival focus is to support the broad falls prevention community to access current research, practice innovations, cutting edge work in falls prevention and management and other exciting GrassRoots falls prevention initiatives that are happening in Australia and overseas. The program will feature presentations from across the residential aged care, hospital and community settings. Members are invited to attend the ANZFPS Annual General Meeting, Tuesday 20 November, 12.30pm – 1.15pm in the Grand Ballroom, Hotel Grand Chancellor Hobart. This entry was posted in News, News & Media on November 16, 2018 by Daina Sturnieks. The Conversation recently published an important message on exercise for older people. Read it here. This entry was posted in Media, News & Media on November 1, 2018 by Daina Sturnieks. Download the updated Hobart Conference program here. This entry was posted in Conferences, News, News & Media on September 24, 2018 by Daina Sturnieks. Channel 7 News recently featured NeuRA research on ladder fall risk. Watch here. This entry was posted in Media, News & Media on August 6, 2018 by Daina Sturnieks.